The lord of the forest returneth! I suppose that's not news, but here's his newest model. Although to my memory most of the concept art on him his back is white/greyish and his hair is green. I suppose that can change considering he must have been reborned with a new body. In TBC I bitched on the suggestion forums for a motorcycle so I could ride around blades edge like madmax. an' they added one in Wrath. I jus' needs to prune the leafs an' paint red stripes down the side o' it. that sqeuals in joy that yer pagan god-fing is back or squeals in pain that he looks like every other grove keeper ever? Pish. 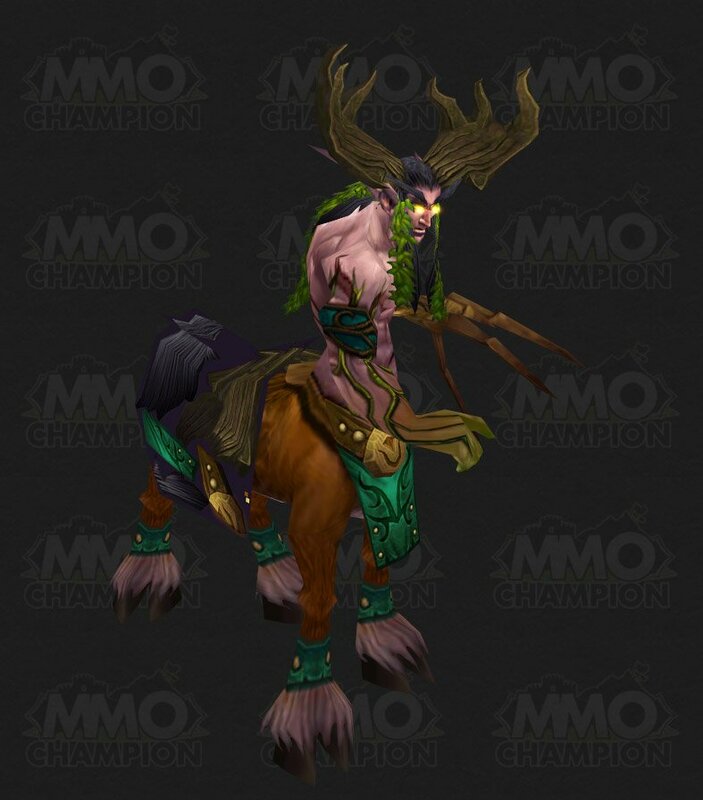 That doesn't look like the final model, and even if it is, the Forestlord is not a copy+paste of his children and in-game he'll most defiantly have an aura of awesomeness around him. You mean that blue blanket covering his buttocks? Yes, that and it's just missing that finish. That blanket... WE CAN RIDE HEEM! YAY!